Did I leave the door open? No, there’s a door closer! Today we’re talking about a product which is not strictly to do with security, but it serves an important protection purpose: the door closer. It’s job (it does what it says on the packet!) is to reclose the door after someone has passed through, but that’s not all. 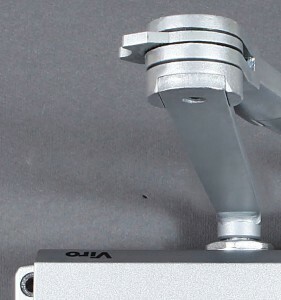 We see in detail what door closers are used for. The usefulness of the product in question is obvious, but it is often not considered that it can prove to be a great collaborator with security systems which are already present. In fact if, either due to being in a hurry, carelessness or for some other reason, one happens to leave the door or the gate to the house open, a correctly installed door closer could limit the damage. Even though the door or gate is not actually locked with a key, if there is no external handle there would still be a certain degree of protection. 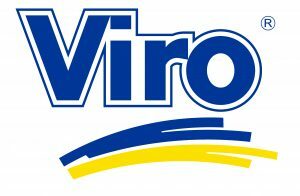 Good quality door closers, such as all the Viro models (series 128, 118 and 116) have two different adjustments: the closing speed and the final closing force, needed to overcome the resistance of the lock latch at the moment of actual closure. Then, depending on the type of door on which the door closer is to be fitted, it will be necessary to choose a closing force suited to the specific condition of use (that is, calibrated according to the size and the weight of the door to be reclosed). In this regard, it should be noted that not all commercially available models are available in the multi-force version (but the majority of Viro door closers are). So make sure before you buy a product that the closing force is the right one, as this is essential for the proper operation of the system, or, better still, that the door closer has an adjustable force. 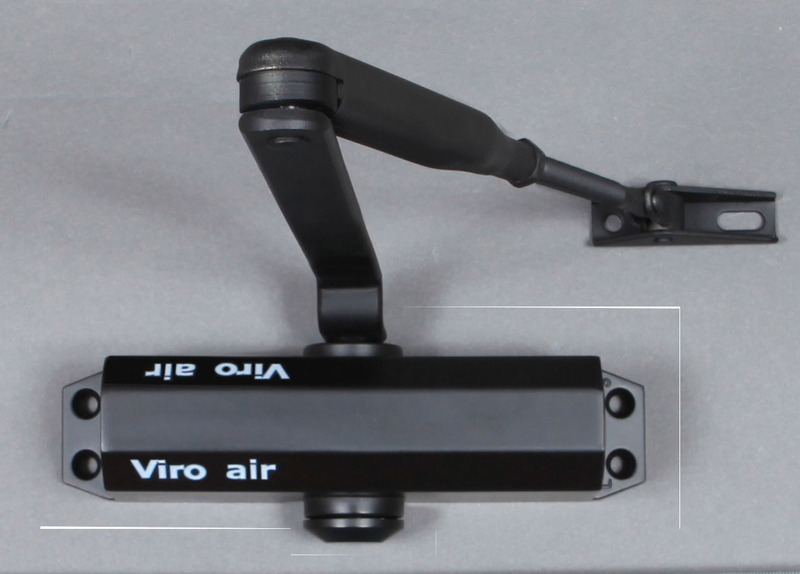 Viro door closers have 2 adjustment valves: one for the closing speed and one for the final closing force. And what if, in certain cases, the door needs to stay open? Even in this case a door closer can be useful. 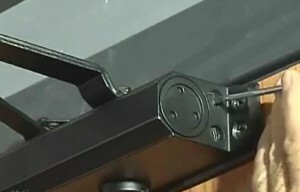 Even though the door closer has been designed for the purpose described above, there may be a situation where, for example, a stream of people must pass through or bulky objects must be carried through. Such circumstances require access to be left free and the door to stay open, even perhaps for a short time. For this reason it is important that the door closer is fitted with a stop mechanism, better still if the opening angle can be adjusted as desired by the user with the door closer already fitted, so as to facilitate passing through in these situations. 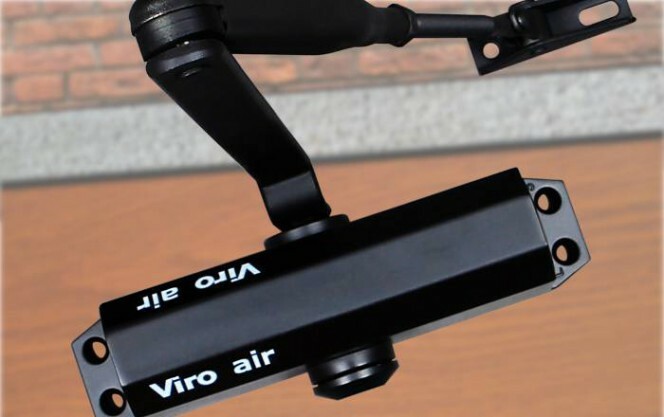 The door closers of the Viro series 128 and 118 allow the door to be stopped with any opening angle. This entry was posted in Locks and Cylinders and tagged products, technology, tips on 28 June 2016 by calessandrini.